The 115-year-old First Bank of Nigeria is to open a representative office in Beijing, China, after securing the approval of the China Banking Regulatory Commission (CBRC), the local press reported Monday. When First Bank starts its operations in Beijing, it will become the first Nigerian financial institution to operate in China, one of the fastest growing economies in the world. "This milestone is an exciting turning point in our bank's history, as First Bank's presence in China further accentuates our steady rise as an international financial services icon,'' said Bisi Onasanya, Group Managing Director of First Bank. ''First Bank will make Nigeria and Africa proud as a worthy Ambassador to Asia." Meanwhile, CBRC also also approved Wen Duanyu's nomination as Chief Representative of First Bank's Office in Beijing. 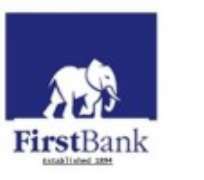 First Bank was the first Nigerian bank to open a branch in London in 1982, and has extended it tentacles to France and South Africa, among others.